Jacqueline Reynolds is a 3rd year doctoral student in the School of Social Work at Howard University in Washington, D.C. Her master’s degree in social work is from Arizona State University and undergraduate degree in history is from the State University of New York, Purchase College. She has authored and presented papers on historical and contemporary aspects of the black experience with a special focus on black women, families, and communities of color. Most recently, Jacqueline co-authored an article “Theoretical Challenges & TANF Program Evaluation” in Families In Society, in press. 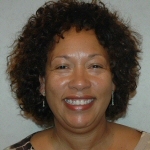 A native of Mount Vernon, New York, Jacqueline’s area of interest includes the black perspective in social policy and welfare history.